Specially designed for your built-in 500 Saber Grill Head, this grill cover offers a perfect fit and worthy protection. 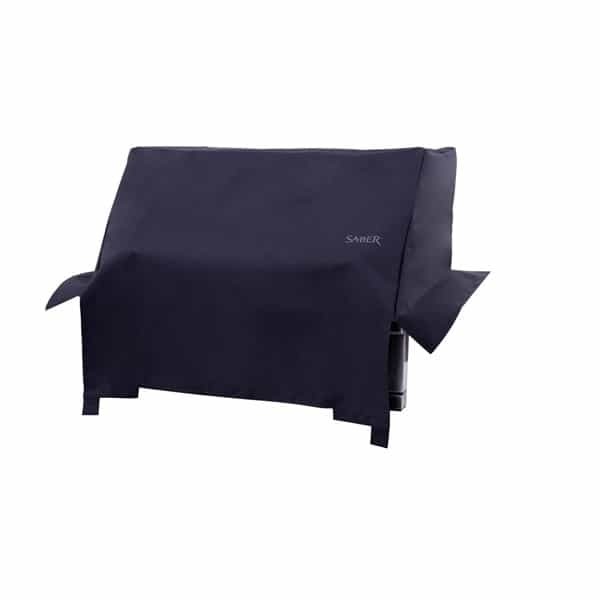 Fashioned from hardwearing solution dyed marine grade polyester, the Saber 500 Built In Grill Cover will protect your investment from the wear and tear of the natural elements. This cover is fade and mildew resistant, can weather heat and cold, and is moisture repellent. It comes equipped with a handle for easy removal and a hook so you can hang it neatly out of the way while you are grilling.